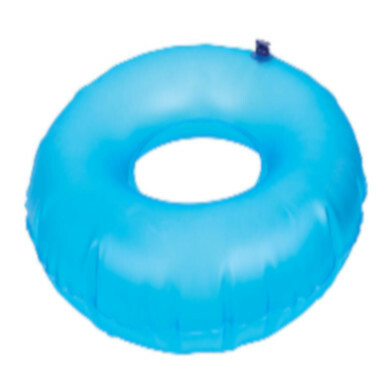 Carex inflatable invalid ring or doughnut cushion provides comfort and support when sitting for long periods of time. Evenly distributes weight, relieves pressure on sensitive areas. Perfect for new mothers, post-surgical care, or hemorrhoid sufferers. Inflates easily by mouth, deflates and folds to pocket or purse size. It features a convenient push-pull valve for easy inflation and deflation. The durable vinyl material is easy to clean.